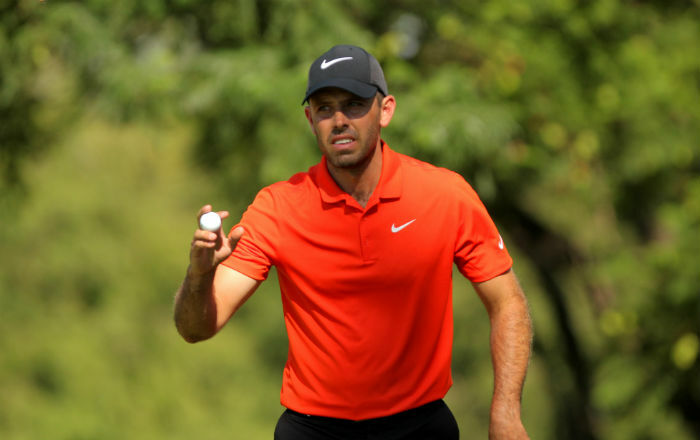 Charl Schwartzel is in Akron, Ohio this week for the WGC-Bridgestone Invitational, where the South African will be hoping to carry a run of good form to Firestone Country Club. The world number 24 has recorded respectable results in the other WGC events this season: he tied for 35th at the HSBC Champions, shared 17th at the Cadillac Championship and tied for 18th at the Dell Match Play. His win at the Valspar Championship along with seven top-25 finishes has earned the 31-year-old over $2 million in prize money. In 2013 he made the Tour Championship and his winnings were not much more than what he has now. Thus, a top finish at a big tournament could see Schwartzel dramatically improve on his current 25th place in the FedEx Cup standings. The two-time PGA Tour winner has recorded a best finish of tied-fourth at Firestone Country Club in the 2014 Bridgestone Inviational. Despite finishing six shots behind winner Rory McIlroy, Schwartzel produced an immaculate final-round 64. He has not finished inside the top-20 besides that performance, so the Vereeniging resident could potentially blow hot or cold this week. Schwartzel tied for 23rd at the US Open two weeks ago before deciding to play on the Japan Golf Tour last week. The 11-time European Tour winner tied for fifth at the ISPS Handa Global Cup with all four of his rounds below 70. Players in the field included the likes of Emilliano Grillo, Padraig Harrington, Victor Dubuisson and Yuta Ikeda, so Schwartzel will bring confidence into this week as he prepares to tee-off with a select group of golfers. This year’s WGC-Bridgestone Invitational is limited-field event of 60 players and there is no cut. The amount of players has been reduced due to scheduling conflict with the 100th Open de France. Either way, Schwartzel returns to Ohio after going eight-under-par in his last competitive round there.